The financial wealth of Bulgaria's population stands at 31,000 million leva (15,850 million euro) for the first quarter of 2008, according to Industry Watch's annual report, presented on Thursday in Sofia. The total amounts to 4,100 leva per cepita, or 2,100 eurо. The new figure suggests that overall wealth is up by 28.5 per cent since this time last year, which is faster than both inflation and wage rises. Thus the financial assets of the average Bulgarian household are at around 55 per cent of Bulgaria's GDP, BTA is reporting. Bulgarians are "conservative" with their money, 85 per cent of households preferring to keep them in low-return forms of saving, such as bank accounts (60 per cent) and cash (around 25 per cent). While this does not generate profits, it does mean they will be less affected by the global financial crisis, Industry Watch says. Bank deposits are up in place of money invested in shares and mutual funds, compared to the previous quarter, BTA added. Net wealth (not counting bank debts) has been going up by 20 per cent annually. However, debts owed to banks amount to 23,000 million leva, Industry Watch says. The share of cash as a percentage of the total wealth has decreased, suggesting citizens' greater confidence in the banking system, and perhaps even a shrinking of the grey economy. Bank deposits are 30 per cent up from 2007, and have doubled since 2001, equalling 35 per cent of the GDP. Housing continues to account for the most in assets. Prices were up by 32 per cent in the first quarter despite the effects of the global crisis, and the rise in prices in Bulgaria continues to be among the world's highest. The total worth of properties in Bulgaria's towns and cities was 68,500 million euro at the beginning of the year. 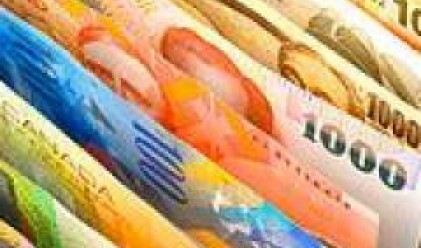 Adding this to financial wealth, this makes the total wealth of Bulgarian households 165,000 million leva (84.5 million euro) as at the beginning of the year. Industry Watch expects financial wealth to continue to rise over the next two years, with households gradually orienting themselves towards forms of savings which promise greater returns.